The Holiday Inn Club Vacations® brand, developed and exclusively operated by Orange Lake Holdings through a marketing alliance with InterContinental Hotels Group (IHG), announced today the addition of three resorts to the Holiday Inn Club Vacations brand portfolio. The 266-unit Holiday Inn Club Vacations Piney Shores Resort property located in Conroe, Texas and the 514-unit Holiday Inn Club Vacations Holiday Hills Resort in Branson, Missouri were branded on April 14, while the 76-unit Holiday Inn Club Vacations Orlando Breeze Resort located in Davenport, Florida joins the portfolio on April 19. Together these new resorts add 856 additional villas to the rapidly growing brand. The Holiday Inn Club Vacations portfolio now has 19 branded resorts with more than 5,900 villas in 12 states. The three resorts joining the Holiday Inn Club Vacations brand were part of Orange Lake Holdings’ 2015 purchase of Silverleaf Resorts. This included a portfolio of 13 properties, enabling the company to introduce the brand into many new markets. 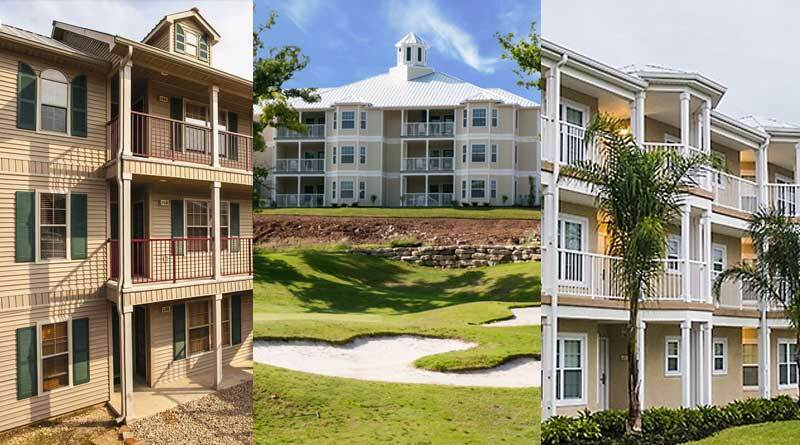 Piney Shores Resort located in Conroe, Texas is just a short 50-minute drive from Houston and sits on the picturesque shores of Lake Conroe; a 21,000 acre boating and fishing paradise. Piney Shores Resort is located on a beautifully wooded property next to Sam Houston National Forest with numerous indoor and outdoor amenities including: private boat slips and onsite boat launch, fishing, horseback riding, indoor and outdoor pools and a comprehensive activities center. All accommodations include fully equipped kitchens and spacious living areas. Holiday Hills Resort is located just 3.5 miles from the world-famous city of Branson, Missouri, and its dozens of entertainment venues and celebrity shows. A traditional family vacation destination, Holiday Hills Resort provides panoramic views of the Ozark Mountains with breathtaking sunrises and sunsets. The home to Holiday Hills Championship Golf Course, Branson’s first public golf course, the resort is a relaxing and tranquil getaway for families and friends. Five different types of accommodations are available ranging from stand-alone cabins to luxury floor plans featuring granite countertops and full kitchens. The resort features an outdoor pool and hot tub, volleyball, basketball, tennis courts, playground, activity center and movie theatre. Orlando Breeze Resort rests in the heart of Orlando’s theme park experience. Just minutes from Walt Disney World® Resort and a short drive to Universal Orlando Resort®, SeaWorld® Orlando, and International Drive, the resort affords all the luxury and in-room amenities to make a week-long stay in Orlando feel like home. The resort offers spacious accommodations with fully equipped kitchens. Family activities on property include: basketball and volleyball courts, mini golf, two outdoor pools (one heated year- round), hot tub, an activities center and movie theatre. The Holiday Inn Club Vacations brand is part of IHG’s diverse family of brands in nearly 100 countries and territories. The scale and diversity of the IHG family of brands means that its hotels can meet guests’ needs whatever the occasion – whether an overnight getaway, a business trip, a family celebration or a once-in-a-lifetime experience. The Holiday Inn Club Vacations brand participates in IHG® Rewards Club. The industry’s first and largest hotel rewards program is free, and guests can enroll at IHGRewardsClub.com, by downloading the IHG® App, by calling 1-888-211-9874 or by inquiring at the front desk of any of IHG’s more than 5,000 hotels worldwide.